Queen duvet cover (88" x 88") featuring the image "Jack Nickolson " by Murphy Elliott. Our soft microfiber duvet covers are hand sewn and include a hidden zipper for easy washing and assembly. Your selected image is printed on the top surface with a soft white surface underneath. All duvet covers are machine washable with cold water and a mild detergent. A camera could not do any more justice to him than you did. One of my favorite guys!!! Great resemblence and very accurate capture...great portrait, Murphy. 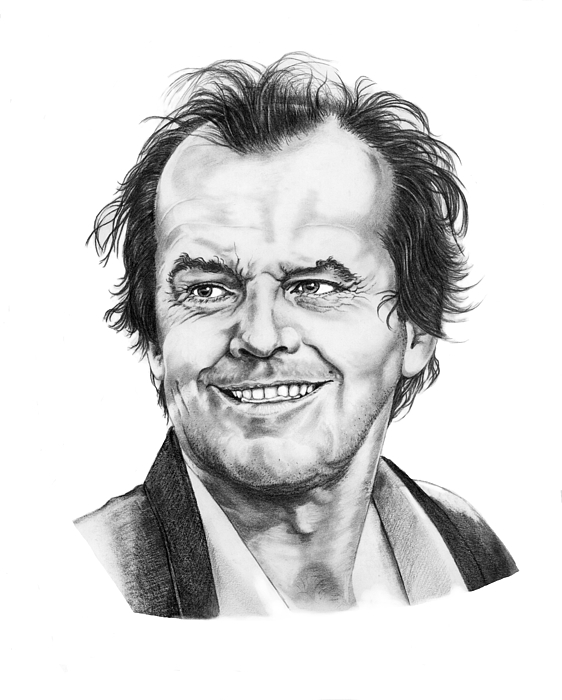 Ah, Jack is one of my favorites - you nailed him here in this portrait!! Excellent!! 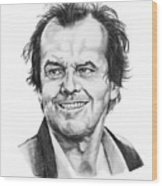 Your portrait work is magnificent! Amazing what you can do with a simple pencil!! 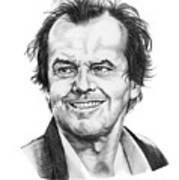 This is perfect what a drawing and a really great actor. 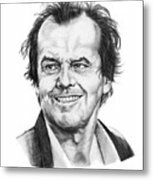 This is great art I love Jack. Hi Elliott, thanks again for looking at my work. I was delightful and fun doing the father and son sketch. Thanks for your comment. You have really captured Jack Nickolson's personality. Great portrait.